STIHL Edger FC 56 CE with 27.2 cc engine delivers professional-quality results in a homeowner-friendly package. 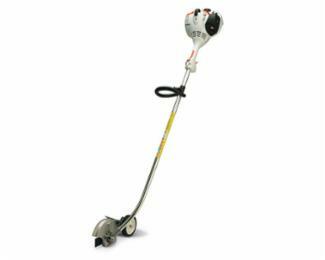 Featuring a semi-automatic choke lever and STIHL’s Easy2Start™ system, this tool slices through thick weeds, grass, and soil to give you the perfect edge for your garden. Reduced emissions technology also makes the STIHL Edger FC 56 CE more environmentally-friendly, so you can take care of your yard and care for your surroundings at the same time.